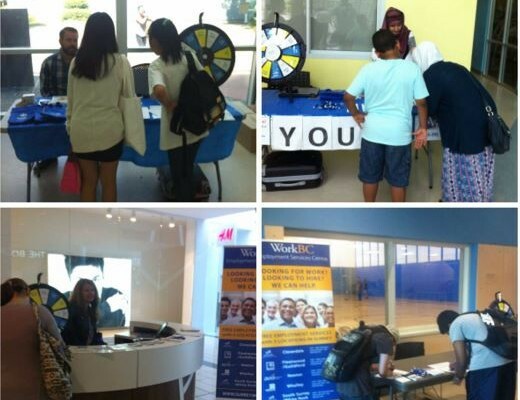 In the month of July & August the Fleetwood Guildford Employment Service Centre has been taking part in a WorkBC Youth Initiative in conjunction with our Surrey ESC partners. The project has helped us reach out to youth at the Fleetwood Guildford Rec Centres and the Guildford Town Centre Mall. To date the initiative has connected employment centre staff with more than 145 youth!